You know it’s the first week of December when Pantone announces their Color of the Year, and for 2019, you can expect to see a lot of “Living Coral” to help brighten the mood. I love reading their color descriptions, but I’d just say Living Coral is a lighter red with a hint of yellow, without being pink. It’s an easy color to work with as you can play with different shades and intensities together, and it works beautifully with watery colors– shades of blue and green. 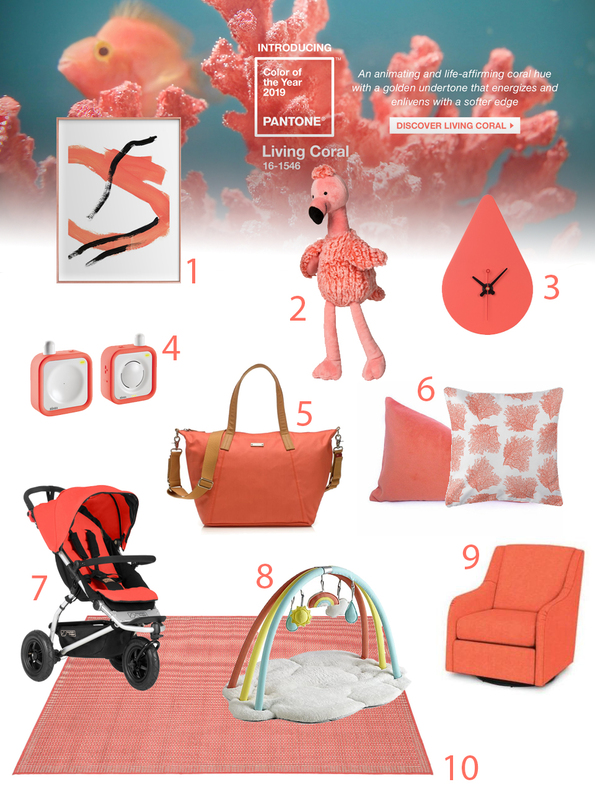 Here’s how you can start to add Living Coral into the baby world and get started in the new year totally on trend. Visit Esther @ buymodernbaby's profile on Pinterest.